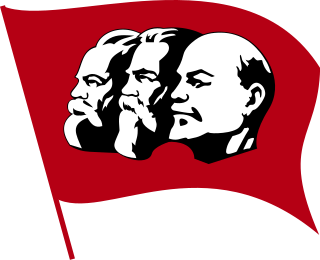 The office grew out of less powerful secretarial positions within the party: Technical Secretary (1917–1918), Chairman of the Secretariat (1918–1919), Responsible Secretary (1919–1922) (when Lenin was leader of the party of Bolsheviks). In the 1950s, Stalin increasingly withdrew from Secretariat business, leaving the supervision of the body to Georgy Malenkov, possibly to test him as a potential successor. In October 1952, at the 19th Party Congress, Stalin restructured the party's leadership. His request, voiced through Malenkov, to be relieved of his duties in the party secretariat due to his age, was rejected by the party congress, as delegates were unsure about Stalin's intentions. In the end, the congress formally abolished Stalin's office of General Secretary, though Stalin remained one of the party secretaries and maintained ultimate control of the Party. When Stalin died on 5 March 1953, Malenkov was the most important member of the Secretariat, which also included Nikita Khrushchev, among others. 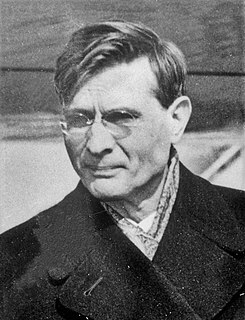 Under a short-lived troika of Malenkov, Beria, and Molotov, Malenkov became Chairman of the Council of Ministers but was forced to resign from the Secretariat nine days later on 14 March, leaving Khrushchev in effective control of the body. Khrushchev was elected to the new office of First Secretary at the Central Committee plenum on 14 September of the same year. Khrushchev removed his rivals from power in both 1955 and (especially) 1957 and reinforced the supremacy of the First Secretary. In 1964, opposition within the Politburo and the Central Committee led to Khrushchev's removal as First Secretary. Leonid Brezhnev succeeded Khrushchev to the post as part of another collective leadership, together with Premier Alexei Kosygin and others. The office was renamed General Secretary in 1966. The collective leadership was able to limit the powers of the General Secretary during the Brezhnev Era. Brezhnev's influence grew throughout the 1970s as he was able to retain support by avoiding any radical reforms. Yuri Andropov and Konstantin Chernenko ruled the country in the same way as Brezhnev had. 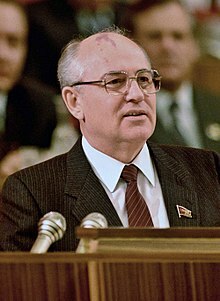 Mikhail Gorbachev ruled the Soviet Union as General Secretary until 1990, when the Communist Party lost its monopoly of power over the political system. The office of President of the Soviet Union was established so that Gorbachev still retained his role as leader of the Soviet Union. Following the failed August coup of 1991, Gorbachev resigned as General Secretary. He was succeeded by his deputy, Vladimir Ivashko, who only served for five days as Acting General Secretary before Boris Yeltsin, the President of Russia, suspended all activity in the Communist Party. 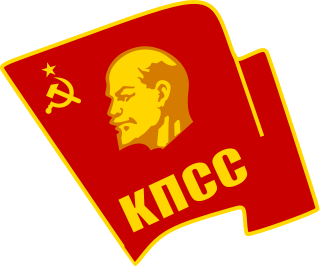 Following the party's ban, the Union of Communist Parties – Communist Party of the Soviet Union (UCP–CPSU) was established by Oleg Shenin in 1993. The UCP–CPSU works as a framework for reviving and restoring the CPSU. 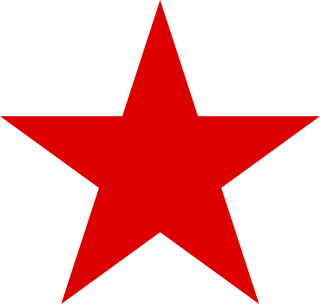 The organisation has members in all the former Soviet republics. 16 March 1921 – 3 April 1922 Was elected Responsible Secretary at the 10th Party Congress held in March 1921. The Congress decided that the office of Responsible Secretary should have a presence at Politburo plenums. As a result, Molotov became a candidate member of the Politburo. 3 April 1922 – 16 October 1952 Stalin used the office of General Secretary to create a strong power base for himself. At the 17th Party Congress in 1934, Stalin was not formally re-elected as General Secretary and the office was rarely mentioned after that but Stalin retained his positions and all of his power. The office was formally abolished at the 19th Party Congress on 16 October 1952, but Stalin remained secretary and retained ultimate power. At 30 years 7 months, Stalin was by far the longest-serving General Secretary, serving for almost half of the USSR's entire existence. 14 October 1964 – 8 April 1966 Brezhnev was part of a collective leadership with Premier Alexei Kosygin and others. The office of First Secretary was renamed General Secretary at the 23rd Party Congress. 8 April 1966 – 10 November 1982 Brezhnev's powers and functions as the General Secretary were limited by the collective leadership. By the 1970s Brezhnev's influence exceeded that of Kosygin as he was able to retain this support by avoiding any radical reforms. 12 November 1982 – 9 February 1984 He emerged as Brezhnev's most likely successor as the chairman of the committee in charge of managing Brezhnev's funeral. Andropov ruled the country in the same way Brezhnev had before he died. 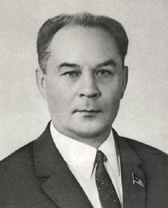 13 February 1984 – 10 March 1985 Chernenko was 72 years old when elected to the post of General Secretary and in rapidly failing health. Like Andropov, Chernenko ruled the country in the same way Brezhnev had. 11 March 1985 – 24 August 1991 The 1990 Congress of People's Deputies removed Article 6 from the 1977 Soviet Constitution. Thus, the Communist Party lost its position as the "leading and guiding force of the Soviet society" and the powers of the General Secretary were drastically curtailed. Throughout the rest of his tenure Gorbachev ruled through the office of President of the Soviet Union. He resigned from his party office on 24 August 1991 in the aftermath of the August Coup. 24 August 1991 – 29 August 1991 He was elected Deputy General Secretary at the 28th Party Congress. Ivashko became acting General Secretary following Gorbachev's resignation, but by then the Party was politically impotent and on 29 August 1991, it was banned. ^ Armstrong 1986, p. 98. ^ a b Fainsod & Hough 1979, pp. 142–146. ^ Z. Medvedev & R. Medvedev 2006, p. 40. ^ Z. Medvedev & R. Medvedev 2006, p. 40-41. ^ a b Brown 2009, pp. 231–232. ^ Ra'anan 2006, pp. 29–31. ^ Ra'anan 2006, p. 58. ^ a b Service 2009, p. 378. ^ a b McCauley 1997, p. 48. ^ a b Baylis 1989, pp. 98–99 & 104. ^ a b c Baylis 1989, p. 98. ^ a b Radetsky 2007, p. 219. ^ a b McCauley 1997, p. 105. ^ Backes & Moreau 2008, p. 415. ^ a b McCauley 1997, p. 117. ^ Fairfax 1999, p. 36. ^ Williamson 2007, p. 42. ^ Zemtsov 2001, p. 132. ^ Noonan 2001, p. 183. ^ Rogovin 2001, p. 38. ^ Phillips 2001, p. 20. ^ Grill 2002, p. 72. ^ Brown 2009, p. 59. ^ Rappaport 1999, pp. 95–96. ^ Ulam 2007, p. 734. ^ Ra'anan 2006, p. 69. ^ a b c Chubarov 2003, p. 60. ^ Vasil'eva 1994, pp. 218. ^ White 2000, p. 211. ^ Service 2009, pp. 433–435. ^ McCauley 1998, p. 314. Williamson, D.G. (2007). The Age of the Dictators: A Study of the European Dictatorships, 1918–53 (1st ed.). Pearson Education. ISBN 978-0582505803.